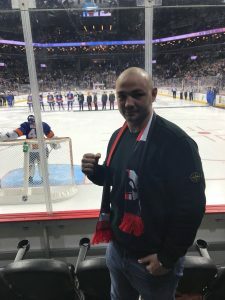 What’s Next for Adam Kownacki? The large footsteps you hear right now are those of Adam Kownacki (19-0, 15 KOs). This past Saturday night he absolutely steamrolled former title challenger Gerald Washington (19-3-1, 12 KOs) in only two rounds. Few expected Washington to come away with the victory but even fewer expected Kownacki to get by him with such ease. Washington isn’t a title contender but he is someone who has fought some of the best in the division and gave a good account for himself. In his 2017 bout with current WBC champ Deontay Wilder it took him five rounds to dispatch of Washington. Current Heavyweight contender Jarrell Miller got rid of him in eight. Kownackis performance was much more dominant. Not only is Kownacki looking better and better in every fight but he is also becoming a huge fan favorite. The undefeated contender is a fighter to keep an eye on. The question is who should he take on next? He isn’t quite ready just yet for a title shot but he’s close. So who exactly should he take on next to take another step towards landing that title shot he’s calling for? Take a look at who we feel are the next best options for Kownackis next fight. Joseph Parker (25-2, 19 KOs) has fallen on hard times as of late. Just as recent as last year he was the undefeated WBO champion. Fast forward one year later and he no longer carries around that title nor does he sport that undefeated record. Back to back losses to Anthony Joshua and Dillian Whyte is nothing to be ashamed of but he needs a win over a good opponent. Adam Kownacki has fought decent competition up to this point in his career but none come close to the calibre of Parker. Not only does he have good boxing ability and more than respectable power but he showed in both his fights against Joshua and Whyte that you’ll need to hit him with a Mack truck in order to put him down and out. In short, Kownacki won’t find an easy opponent in Parker. Both of these guys need each other at this point in their careers. A win for either guy can vault them to the next in line for a title shot. Sure Alexander Povetkin (34-2, 24 KOs) was knocked out in his last bout when he challenged current unified champion Anthony Joshua but he is still one of the very best in the Heavyweight division. Even with Povetkin getting a bit long in the tooth at age 39 he can still cause major problems for Kownacki if they ever found themselves matched up. Povetkin has only lost to some of the very best in Anthony Joshua and Wladimir Klitschko. If Kownacki not only scored a victory over Povetkin but did so in devastating fashion that would present him with the biggest win in his career. If Kownacki truly wants to show that he should be mentioned as a serious title threat than a matchup with Luis Ortiz (30-1, 26 KOs) is what he should be aiming for. Ortiz lone blemish on his record came via tenth round stoppage at the hands of WBC champion Deontay Wilder. In that fight Ortiz gave Wilder all he can handle, proving that not only is he a great boxer but that he is also one helluva puncher as he had Wilder seriously hurt several times throughout the contest. A win over Ortiz will grab the attention of everyone in the division. Kownacki has been able to mow down his competition thus far. Ortiz on the other hand would be a completely different story. If Kownacki wants to be next in line for a title shot than a win over Ortiz can provide him with just that.